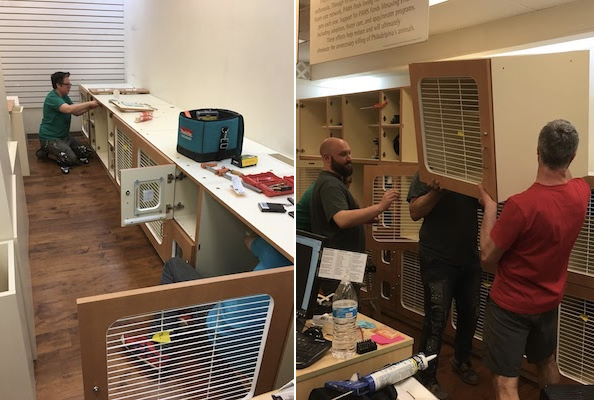 After ten years and nearly 8,000 feline residents, PAWS’ Old City adoption center has gotten an upgrade! Thanks to our caring supporters, we met our fundraising goal of $15,000 to replace outdated cat cages with new, expanded units to provide our cats the most comfortable stay possible until they find their forever home. All our residents have been moved to their new and improved living space, which features nearly 40% more space than our old units. 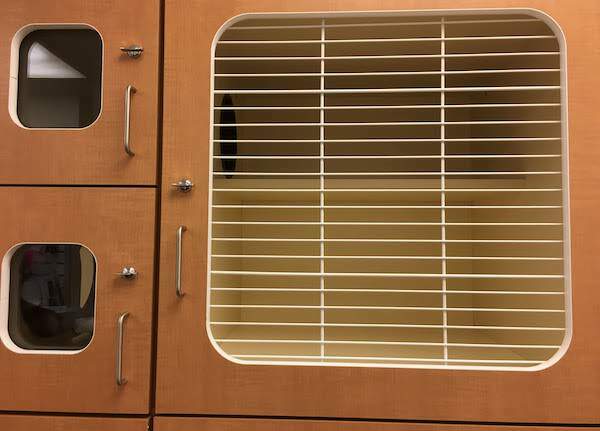 A 28″ width, depth and height will allow for more stretching and lounging, while a wider and deeper shelf will provide more space for comfortable perching as well as a separate area for food and water storage.  We are especially excited to be able to provide cats with a completely separate, 15″ wide litter box area, allowing a more sanitary living space and keeping the main cage area open for napping, playing, and stretching out. 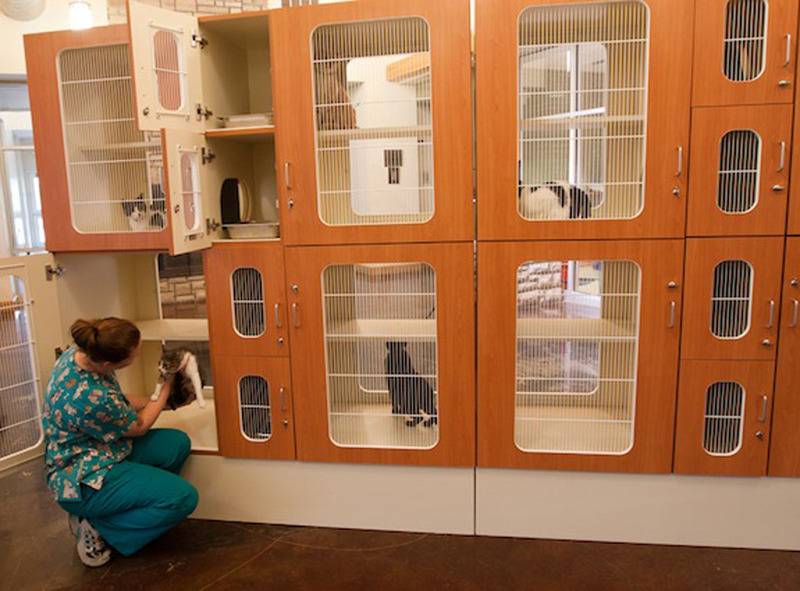 New units will also feature quiet-close hinges as well as portals between come cages to allow social cats to visit one another. We are so grateful to the generous animal lovers whose support will provide homeless cats the comfort they deserve during their stay at PAWS! New cages were delivered in time for the holiday weekend and assembled in just a few hours thanks to dedicated staff, volunteers, and invaluable assistance from Jen the Carpenter. In order to cut down on stress for our feline residents, we coordinated their “moving day” so that they could remain in their old cages right up until the new ones were installed. 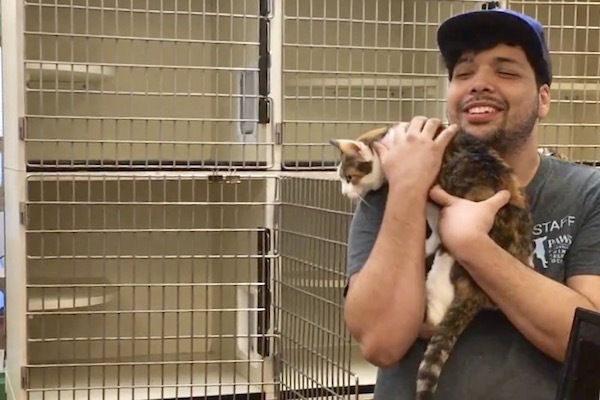 Then, it was just a short walk across the adoption center in the arms of a staff member to their new residence, where their familiar bedding was waiting for them to help them feel safe. Natasha, the final cat to make the switch, is carried away from our old cages by staff member Tomas. 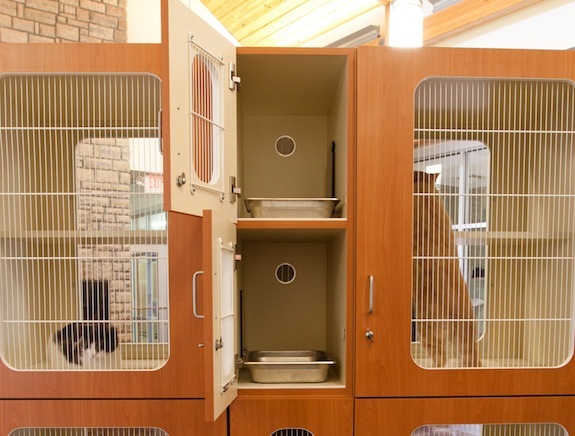 New units feature separate compartments for litter boxes and expanded square footage, allowing for nearly 40% more living space than the old cages. In the years to come, thousands of cats will pass through here and find safety and comfort on the way to their forever homes. Thank you to the generous supporters who made it possible!